Bonnie Duran, DrPH, began Buddhist meditation practice over 35 years ago. 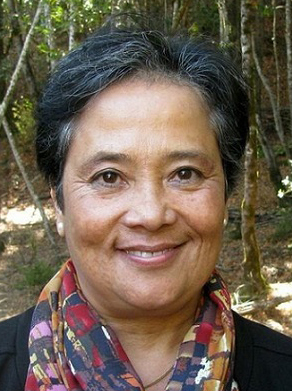 She enjoys teaching Spirit Rock’s Dedicated Practitioners Program, short and long retreats, and holds a People of Color and Allies Sangha in Seattle, WA. She also directs the University of Washington’s Center for Indigenous Health Research, is a member of Spirit Rock Teachers Coucil and a core teacher for IMS’s Teacher Training Program.